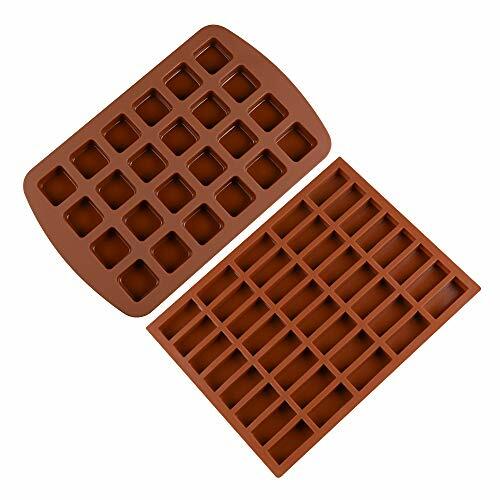 These baking molds nice for baking bite sized delicious treats. 1pc: 24-Cavity: 8.5"*13.2"*0.6"; each cavity: 1.4"*1.4"*0.6"
1pc: 40-Cavity: 8.7"*11.6"*0.5"; each cavity: 0.8"*1.95"*0.5"
These silicone molds are flexible, please place a pan or tray underneath for stability. Keep away from the cut of sharp utensile. If you have any questions about this product by FUNBAKY, contact us by completing and submitting the form below. If you are looking for a specif part number, please include it with your message.